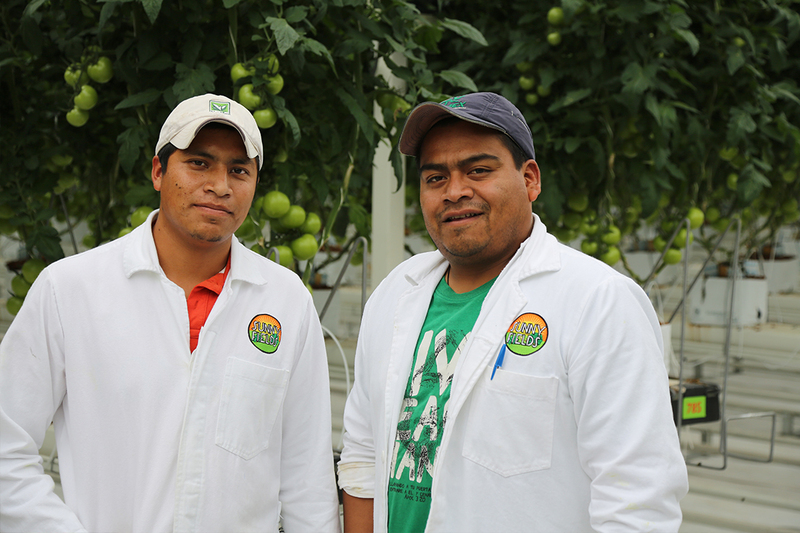 In collaboration with Filclair Greenhouse Technology, Patron Agri International has realized a 2-phase 12 ha tomato greenhouse in the Agropark Queretaro at an altitude of 2000 meters. 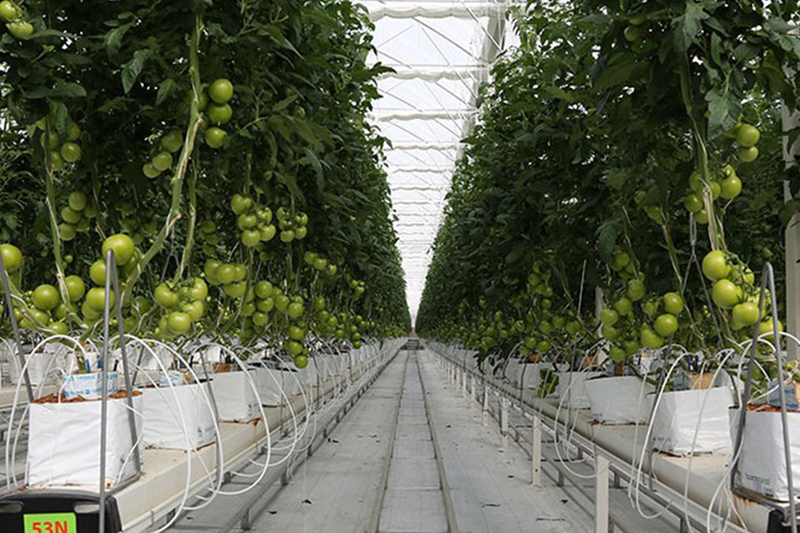 The greenhouse is equipped with a unique technology in the field of irrigation and interplanting in which young tomato plants are placed between older plants. The double dripline system ensures that it is easy to change driplines during the switch from old to new plants. To realise this a double infrastructure has been set up, each with a separate process control. Applying the Apollo unit, disinfection of drain water is taken care of, making it ready for recirculation. The project also includes a buffer tank for hot water heated by the boiler that is on during the day to deliver CO2 from flue gases. In the cold night, the heat is used for the greenhouse temperature to maintain. During the day the relatively warm water is cooled by means of a cooling tower. Challenging was the placement of the silos because of the uneven, stony surface for which some measures had to be taken. A good example of high-quality technology that allows a high, constant flow of production.